The United States National Archives and Records Administration (NARA) is an independent agency of the United States federal government charged with preserving and documenting government and historical records. It is also charged with increasing public access to those documents. NARA is officially responsible for maintaining and publishing the legally authentic and authoritative copies of acts of Congress, presidential proclamations and executive orders, and federal regulations. The chief administrator of NARA, the Archivist of the United States, not only maintains the official documentation of the passage of amendments to the U.S. Constitution by state legislatures, but has the authority to declare when the constitutional threshold for passage has been reached, and therefore when an act has become an amendment. NARA has been active in digitizing their holdings to make them easily accessible to the public. Since 2006, NARA collaborated with Google, Footnote, and CreateSpace to foster its digitization projects which include digitization of historical films and photos as well as documents. Originally, each branch and agency of the U.S. government was responsible for maintaining its own documents, which often resulted in the loss and destruction of records. Congress established the National Archives Establishment in 1934 to centralize federal record keeping, with the Archivist of the United States as its chief administrator. The National Archives was incorporated into the General Services Administration in 1949, but, in 1985, it was made an independent agency as NARA. Most of the documents in the care of NARA are in the public domain, as works of the federal government are excluded from copyright protection. However, some documents that have come into the care of NARA from other sources may still be protected by copyright or donor agreements. NARA also stores classified documents and its Information Security Oversight Office monitors and sets policy for the U.S. government's security classification system. NARA's holdings are classified into "record groups" reflecting the governmental department or agency from which they originated. The records including paper records, microfilmed records, still pictures, motion pictures, and electronic media. Many of NARA's most requested records are frequently used for research in genealogy. This includes census records from 1790 to 1930, as well as ship passenger lists and naturalization records. As the nation’s record keeper, it is our vision that all Americans will understand the vital role records play in a democracy, and their own personal stake in the National Archives. Our holdings and diverse programs will be available to more people than ever before through modern technology and dynamic partnerships. The stories of our nation and our people are told in the records and artifacts cared for in NARA facilities around the country. We want all Americans to be inspired to explore the records of their country. The National Archives and Records Administration serves American democracy by safeguarding and preserving the records of our Government, ensuring that the people can discover, use, and learn from this documentary heritage. We ensure continuing access to the essential documentation of the rights of American citizens and the actions of their government. We support democracy, promote civic education, and facilitate historical understanding of our national experience. The National Archives Building, known informally as Archives I, located north of the National Mall on Constitution Avenue in Washington, DC, opened as its original headquarters in 1935. It holds the original copies of the three main formative documents of the United States and its government: the Declaration of Independence, the Constitution, and the Bill of Rights. It also hosts the Magna Carta confirmed by Edward I in 1297. These are displayed to the public in the main chamber of the National Archives, which is called the Rotunda for the Charters of Freedom. Flash photography of the documents is prohibited, because the flashes can over time fade out the documents. There are no lines to see individual documents (although there is a line to reach the rotunda itself) at the National Archives, and visitors are allowed to walk from document to document as they wish. The National Archives Building also exhibits other important American historical documents such as the Louisiana Purchase and the Emancipation Proclamation, as well as collections of photography and other historically and culturally significant American artifacts. NARA facility near the University of Maryland, College Park. 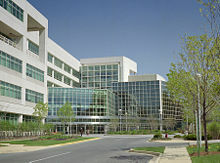 Due to space constraints, NARA opened a second facility, known informally as Archives II, in 1994 near the University of Maryland, College Park campus. The two institutions engage in multiple initiatives. There are ten Affiliated Archives locations across the US which hold, by formal, written agreement with NARA," accessioned records. There are also fourteen Regional Archives facilities across the country with available research rooms and two major facilities in St. Louis, Missouri which comprise the National Personnel Records Center. However, the National Archives Building in downtown Washington still contains such record collections as all existing Federal Census records, Ship Passenger Lists, military unit records from the American Revolution up to the Philippine-American War, records of the Confederate Government, the Freedmen's Bureau records and pension/land records. 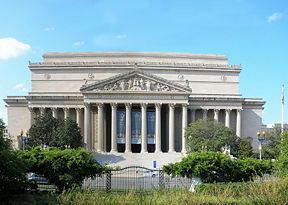 Libraries and museums have been established for other presidents, but they are not part of the NARA presidential library system, and are operated by private foundations, historical societies, or state governments, including the William McKinley, Rutherford Hayes, Calvin Coolidge, Abraham Lincoln and Woodrow Wilson libraries. For example, the Abraham Lincoln Presidential Library and Museum is owned and operated by the State of Illinois. 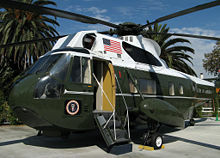 The broad range of material which NARA preserves at the Presidential libraries is exemplified by the President's VH-3A "Sea King" helicopter at the Richard Nixon Presidential Library and Museum. The National Archives maintains a Nixon Presidential Materials Project at its Archives II facility in College Park, Maryland. The "Nixon Project" is currently (2007) transferring all of their materials to the newly-opened Richard Nixon Presidential Library & Museum in Yorba Linda, California. In March 2006, it was revealed by the Archivist of the United States in a public hearing that a memorandum of understanding between NARA and various government agencies existed to "reclassify," i.e withdraw from public access, certain documents in the name of national security, and to do so in a manner such that researchers would not be likely to discover the process. The National Archives aims to make its holdings more widely available and more easily accessible by entering into public-private partnerships. In 2006, NARA announced a joint-venture with Google to digitize and offer NARA video online. This pilot program represents an evolutionary step for the National Archives to achieve its goal of becoming an archives without walls, as explained in the NARA press release. This innovative partnership is just one step in a strategic plan which emphasizes the importance of providing access to records anytime, anywhere. This is one of many initiatives that NARA is launching to expand opportunities for the public to be able to view NARA's collections. In early 2007, the National Archives and Footnote launched a pilot project to digitize historic documents. The NARA press release explained that this partnership will allow much greater access to approximately 4.5 million pages of important documents that are currently available only in their original format or on microfilm. No less important, the digitization of documents will also enhance NARA's efforts to preserve its original records. In late 2007, the National Archives announced it would make thousands of historical films available for purchase through CreateSpace (an Amazon.com subsidiary) which specializes in on-demand distribution of DVDs, CDs and books. The NARA press release emphasized the potential benefits for the public-at-large and for the National Archives. At NARA facilities, the public can continue to view films and even copy them at no charge; this new program will make NARA's holdings much more accessible to those who cannot travel to the Washington, DC area. At the same time, the NARA-CreateSpace partnership will provide the National Archives with digital reference and preservation copies of the films as part of NARA's preservation program. The Archivist of the United States is the chief official overseeing the operation of the National Archives and Records Administration. The first Archivist, R.D.W. Connor, began serving in 1934, when the National Archive was established by Congress. The Archivists served as subordinate officials in other government agencies until the National Archives and Records Administration became an independent agency on April 1, 1985. Allen Weinstein is now serving as the ninth Archivist, having been sworn in on February 16, 2005. The Archivist is responsible for safeguarding and making available for study all important public documents of the nation, including the actual Declaration of Independence, the Constitution and the Bill of Rights, which are displayed in the Archives' main building in Washington, D.C.. Under Public Law No. 98-497, the Archivist also must maintain custody of state legislative ratifications of amendments to the United States Constitution and proclaim a particular amendment duly ratified and part of the Constitution, if the legislatures of at least three-quarters of the states approve the proposed amendment. Thomas Edison's Patent Application For an incandescent light bulb, 1880. Immigrants Landing at Ellis Island, 1990s. Last lifeboat arrived, filled with Titanic survivors. This photograph was taken by a passenger of the Carpathia, the ship that received the Titanic's distress signal and came to rescue the survivors. It shows the last lifeboat successfully launched from the Titanic, 1912. Caption from original: Helen Keller Christens a United States Emergency Fleet ship launched in the Los Angeles harbor. The newly completed ship was the twelfth boat launched by the Los Angeles Shipbuilding & Dry Dock Company. Central News Photo Service., ca. 1918. Declaration of Intention for Albert Einstein. Series: Petitions for Naturalization, 01/1931 - 11/1988. A few of the thousands of wedding rings the Germans removed from Holocaust Victims to salvage the gold. The U.S. troops found rings, watches, precious stones, eyeglasses, and gold fillings, near Buchenwald concentration camp, 1945. Apollo 11 Flight Plan, 1969. ↑ archives.org - privacy and use, NARA. Retrieved May 26, 2008. ↑ 2.0 2.1 Our Vision Statement, NARA. Retrieved May 26, 2008. ↑ Featured Document: The Magna Carta, NARA. Retrieved May 26, 2008. ↑ archives.org - IT conference sponsors, NARA. Retrieved May 26, 2008. ↑ Affiliated Archives page of Archives.gov, NARA. Retrieved June 27, 2008. ↑ Secret Agreement Reveals Covert Program to Hide Reclassification from Public, National Security Archive. April 11, 2006. Retrieved May 26, 2008. ↑ National Archives and Google Launch Pilot Project to Digitize and Offer Historic Films Online, NARA, February 24, 2006. Retrieved May 26, 2008. ↑ National Archives and Footnote Launch Project to Digitize Historic Documents, NARA, January 10, 2007. Retrieved May 26, 2008. ↑ Thousands of National Archives Films to Be Made Available Through CustomFlix Labs, NARA, July 30, 2007. Retrieved May 26, 2008. Bustard, Bruce I. Picturing the Century: One Hundred Years of Photography from the National Archives. Washington, DC: National Archives and Records Administration in association with the University of Washington Press, Seattle, 1999. Kobrin, D. 2004. "National Archives and Records Administration Digital Classroom." JOURNAL OF AMERICAN HISTORY -BLOOMINGTON-. 91, no. 2: 732. National Archives and Records Administration (NARA) Official Site Retrieved June 23, 2008. Szucs, Loretto Dennis, and Sandra Hargreaves Luebking. The Archives: A Guide to the National Archives Field Branches. Salt Lake City, UT: Ancestry Pub, 1988. United States. Basic Laws and Authorities of the National Archives and Records Administration. Washington, D.C.: General Counsel/Policy and Planning Staff, National Archives and Record Administration, 2006. United States. Select List of Publications of the National Archives and Records Administration. General information leaflet, no. 3. Washington, DC: The Administration, 2001. All links retrieved November 8, 2018. History of "National Archives and Records Administration"
This page was last modified on 8 November 2018, at 17:35.